The Master Lock No. 496B Universal Wall Switch Cover locks out both toggle and Decora™ switches. 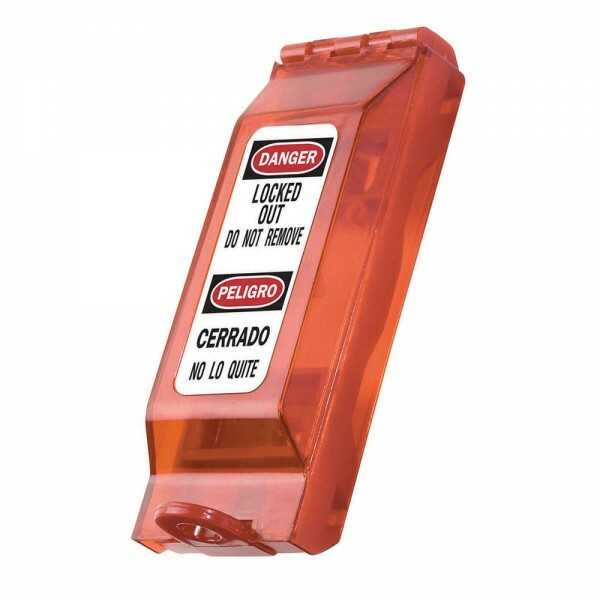 The patented design ensures switch stays locked on or off and hinges open for unobstructed normal operations of switch. Cover includes English/Spanish and English/French labels.